Dr. Maryanne Demasi is a former medical scientist who completed her Ph.D. in Medicine at the University of Adelaide. Her research focused on the pathology of Rheumatoid arthritis and potential therapies. Her innovative research has appeared in several internationally published medical journals. Leaving her lab coat behind, Maryanne accepted a position as a political advisor and speechwriter for the South Australian Minister for Science and Information technology portfolios. She advised on issues concerning Intellectual Property and commercialization of research. Maryanne was headhunted by the ABC ‘s Catalyst program in 2006 and gained a reputation for reporting on relevant and sometimes controversial medical stories. She has won numerous accolades for her work and in 2008, 2009 and 2011 was awarded the National Press Club of Australia’s prize for her excellence in health journalism. 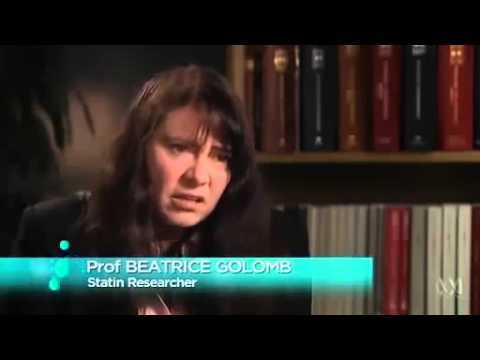 In October 2013, Catalyst aired Heart of the Matter – a two-part program dealing with statins, cholesterol and heart disease. Following a number of complaints, the ABC’s independent Audience and Consumer Affairs Unit investigated the programs. While acknowledging the importance of public health issues relating to the efficacy of heart disease treatment and the contrasting opinions of highly-qualified scientists, the A&CA has concluded that while both programs met the ABC’s editorial standards for accuracy, a section of part two was found to breach impartiality standards.